“I’ve been using Apple products and services since I can remember,” Henri, who produces videos on technology trends for more than 5,000 subscribers, told me in an email. In April, he saw a Reddit post about the YouTube channel “Every Apple Video” being removed by YouTube. To keep the content alive and accessible, he started uploading his own archive—built from archive.org, YouTube, archived versions of Apple’s own website, and contributions from other Redditors—to a new channel called “Every ? 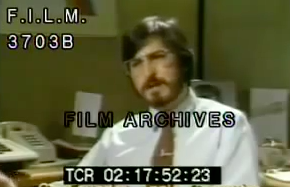 Video” (later renamed “The Unofficial Apple Archive,” which 9to5Mac reported on in April). Neither Apple nor YouTube immediately responded to Motherboard’s requests for comment. YouTube removed his new channel a week later, citing “multiple or severe violations of YouTube’s policy against spam, deceptive practices, and misleading content or other Terms of Service violations.” This could have been due to copyrights held by Apple, but other, similar channels with Apple content stay up, so it’s unclear why this one was removed. Three days ago, he posted a call for help to the /r/apple subreddit: What should he do with nearly 80 gigabytes of videos now that YouTube booted them off? Several users there directed him to the r/datahoarder subreddit, and he began to transfer the files to various redditors, one of whom turned them into a torrent file for anyone to download. Another redditor named -Archivist hosted the files on their server in order to make the videos available to everyone. Much of the content consists of simple Apple ad spots and WWDC keynotes (some of them bootleg), but some of the videos are truly bizarre to watch now. An EasyPay video (a point-of-sale system used in Apple retail stores) from the early aughts, for example, features a remix of “Baby Don’t Hurt Me” and a lot of terrible acting. The “Pencil Test” video (still available on a different YouTube channel) is equally weird and wonderful, even without the help of gyrating Apple Store employees.